The OpenSimulator Community Conference is a grassroots community event, staffed by volunteers and managed by Core Develoeprs of OpenSimulator and AvaCon, Inc., a 501(c)(3) non-profit organization. Although the conference is in virtual space, and made possible by hardware donations and by dozens of volunteers, the conference incurs some expenses, in particular the professionally-managed operation of the conference center grid which includes the setup, performance tuning, and constant monitoring that are of utmost importance for the success of the conference, and the streaming services and other web services necessary to produce the event. Compared to real-world conferences, the budget of a virtual event like the OpenSimulator Community Conference is very modest, but, nevertheless, it’s not zero. As such, we ask businesses, entrepreneurs, and community members alike to help financially support the conference if they are able. 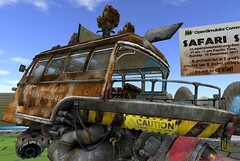 The OpenSimulator Community Conference is an all-ages, general community event. We expect 300-400 attendees of the conference virtually, as well as an even broader audience through the live and archived conference streams. Attendees of the OpenSimulator Community Conference are tech-savvy early adopters, virtual world and VR developers and thought leaders, online community organizers, and the most innovative and dedicated metaverse fans. Sponsorships are tax-deductible for US residents minus the value of any tangible benefits! Sponsors at all levels will have the opportunity to participate in a grid-wide game that rewards attendees for exploring the conference grid, including the opportunity to donate virtual prizes. In addition, a Shopping Center region with freebies and avatar customization components will be available this year. 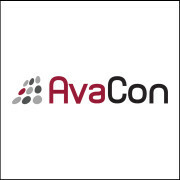 Any sponsor wishing to participate in contributing content to the Shopping Center region may contact info@avacon.org for more information. Looking for more options or a Community Booth? We will be launching a Crowdfunder Campaign for smaller tax-deductible dollar donations and fun thank you gifts! Please enter the real life mailing address of the sponsor, company, or organization. Please note, this is the address to which any physical items such as conference t-shirts will be shipped. All sponsor levels may receive a conference t-shirt(s) as part of their sponsor benefits. Do you wish to have a conference t-shirt(s) shipped to you? Please select the t-shirt size(s) for your order. Gold Sponsors may choose up to three t-shirt sizes. Silver sponsors may choose up to two t-shirt sizes. Bronze and Nickel sponsors may select one t-shirt size. All sponsor levels may place an ad in the conference program. Do you wish to place an ad or have your name appear in the conference program?